Unless you’re an Indonesia veteran, driving in Bali is both stressful and dangerous. So let your professional driver/guide take the strain on this full-day private guided tour. 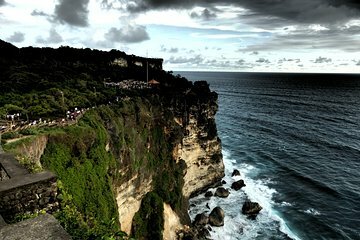 Visit Tanah Lot Temple, Uluwatu Temple, Padang Padang Beach, a coffee plantation, a Balinese warung, and more for the perfect combination of culture and food. Please note: all meals and entrance fees are at your own expense. In general this tour is fine. Tanah Lot and Uluwatu temple really have some breath-taking views. However, beware of the driver as he is a freeloader and didn't even ask me before if i could pay for his lunch and in the end i had to pay for it. In reality, he could have received a free lunch from the restaurant serving lunch by bringing in tourists.